Architects and Architecture have a measurable impact on the total scope of greenhouse gas (GHG) emissions. Architects design cities, districts, and buildings and the impact of our present urban design approach is the source of about 70% of GHG emissions. This seminar will review popular mitigation and adaptation strategies discovered in a national survey of 200 U.S. towns and cities. Climate action plan-ning for low carbon cities includes GHG mitigation, climate adaptation, and resilience strategies. These strategies are changing the urban form of cities and regions. 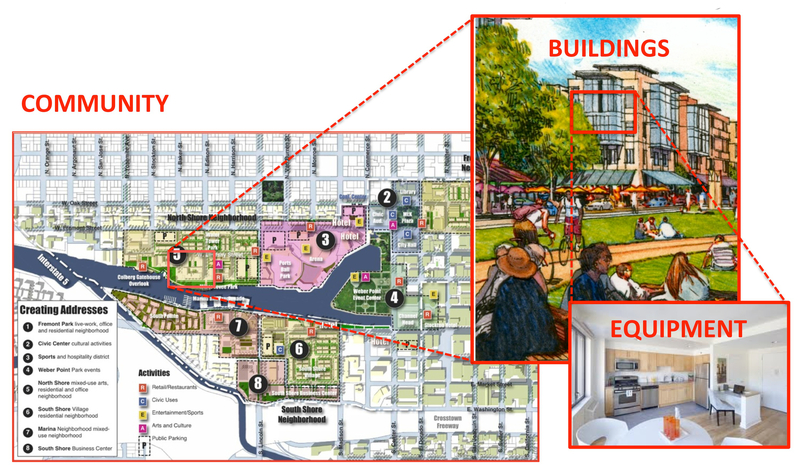 The presenter will share emerging urban design outcomes from climate planning and effectiveness of popular strategies of GHG reductions at a block, district, and city scale. Bruce Race, PhD, FAIA, FAICP is the Director of University of Houston’s Center for Sustainability and Resilience (CeSAR) and will be joined by Dan Williams, FAIA the author of Sustainable Design: Ecology, Architecture and Planning published on Earthday 2007 by John Wiley & Sons. This presentation is a part of the ongoing AIA Regional and Urban Design Knowledge Community webi-nar series. View the complete series archive at www.aia.org/rudc. 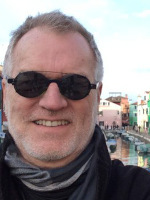 Bruce Race, FAIA, FAICP, PhD - The principal and founder of RACESTUDIO and is responsible for all aspects of project planning, design and delivery. Since founding RACESTUDIO in Berkeley, CA in 1994, his projects have received 32 design and planning awards including national awards from the American Institute of Architects, American Planning Association, Environmental Protection Agency and Society of College and University Planning. The Long Range Development Plan for UC Merced received a national 2012 AIA COTE Top Ten Green Projects Award, and the Owings Award for Environmental Excellence, from the California Architectural Foundation in 2013. Dr. Race is the Director of University of Houston's Center for Sustainability and Re-silience (CeSAR). His design talent, practice experience, and research interests intersect in his classroom studios where he emphasizes design innovation grounded by real world experience. In addition to research and teaching at UH, Dr. Race is a visiting research fellow, faculty in MA in Urban Design program, and instructor in the Low Carbon Architecture Summer Program with Cardiff University's Welsh School of Architecture. Daniel E. Williams, FAIA, APA - A practicing architect and planner in Seattle and Miami and is an internationally recognized expert in sustainable design. Mr. Williams is a member of the experts team for the Clinton Climate + Initiative, advising on projects in Toronto and London. He served as 2006 chair of the AIA's Sustainability Task Group and sat on the national advisory council for United States Environmental Protection Agency - NACEPT. 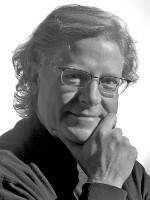 In 2011 he was selected to act as jury chair for the National AIA/Urban and Regional Design Honor Awards. Named Eminent Scholar and Distinguished Alumni at the University of Florida, his book Sustainable Design: Ecology, Architecture and Planning was published Earthday 2007 by John Wiley & Sons was called a top ten book on sustainable design by the Royal Academy of Architects and top 5 in sustainable design and planning by Planetizen. Dan has taught and lectured in architecture and planning for over 30 years and is on the Master of Sustainable Design faculty at the University of Florida's extension in Singapore. Presently he is working on a book that illustrates the designs connectivity between science and art titled No Small Plans: An Ecological Design Approach to National Sustainability. If you have had trouble seeing the screen during past webinars: 1) download the latest version of Java beforehand and 2) try logging out and logging back in. If you have trouble listening via computer speakers, try using the telephone call-in number. See the FAQs at http://bit.ly/GTWsupport. When available, you can download the presentation and the Q&A. A PDF of the presentation will be posted at least 48 hours before the live webinar, and the Q&A will be posted after the webinar. Continuing Education Hours are only offered during the live event. Continuing Education hours are only offered during the live event, and only to AIA members. A link to a survey will be provided both at the end of the webinar and in a follow-up email sent one hour after the end of the webinar. This survey must be completed in order to receive credit. AIA members will have their credit recorded within two weeks. Certificates are not provided for Knowledge Communities webinars - please visit MyCES to view and download your AIA transcript for proof of completion. PLEASE NOTE: Each AIA member or IDP record holder needs to fill out their own survey individually. The survey will close 72 hours after the conclusion of the presentation. Please send your questions, comments and feedback to: knowledgecommunities@aia.org.